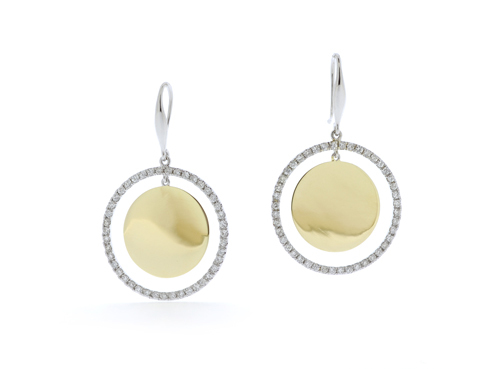 Remainder Diamonds from the customer’s previous resetting job, were used in these gorgeously simple 2-tone Earrings. Last week we posted a sketch of a redesign job. 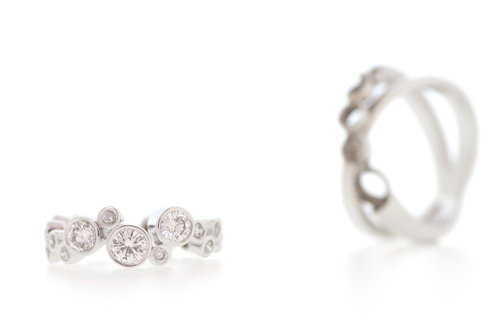 Below are the results; An Eternity Ring and a Pendant using Diamonds of various sizes from a bangle, a ring and 2 Pendants. Although many customers bring in several pieces to use stones for resetting, there are plenty of options even if you have a single piece of jewellery that you want to refresh or upgrade. A piece of Jade from grandmother holds sentimental value. 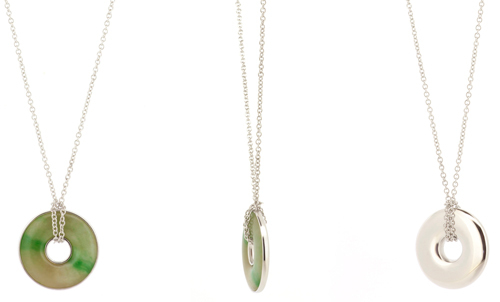 Here we have turned a traditional piece of Jade into a modern statement piece with polished White Gold on one side. The dawn of Scandinavian Jade jewellery? This is ‘East meets West’ in a stunning combination, if we may say so ourselves. Do you have any jewellery that could be transformed into something new, stunning and wearable?